With the 2018 Winter Olympics in Pyeongchang roughly 100 days away, the various broadcast partners are beginning to tease their coverage plans. 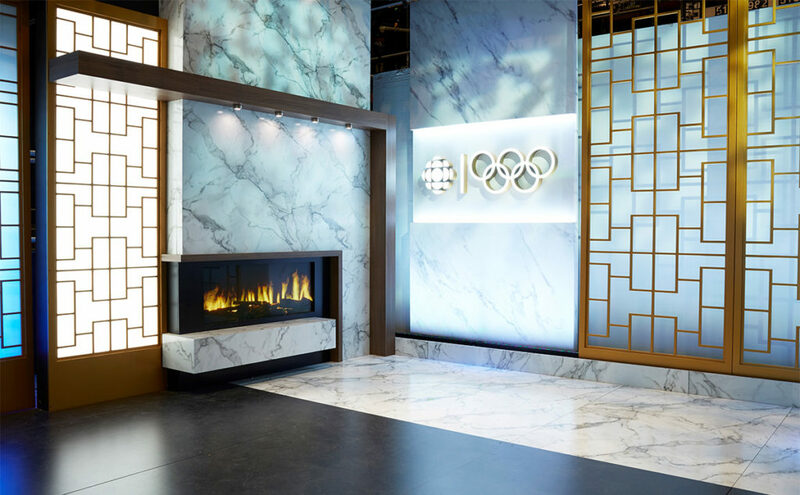 CBC/Radio-Canada, the public broadcaster and home to the Olympics in Canada, released some details recently, including a look inside its scenic design and theme music. 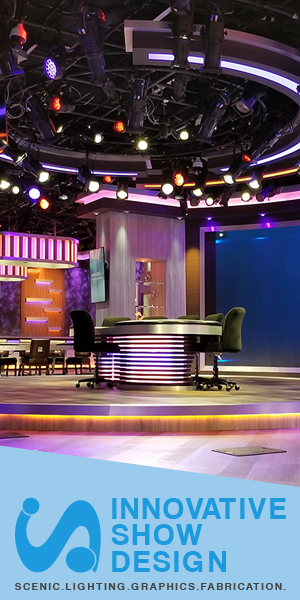 CBC/Radio-Canada will broadcast live from studios on location in the Republic of Korea with scenic design from Kyle Sanvictores’ AKA Creative. 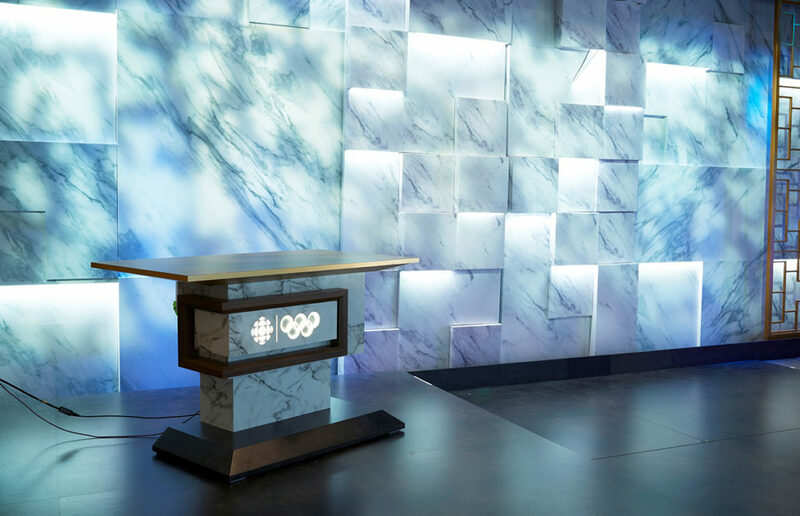 Preview of CBC/Radio-Canada’s PyeongChang Olympic studio. Photos courtesy of CBC. The studios, one for English coverage and another for French, incorporate influences from Korea, such as marble and wood accents, in a clean and flexible design. A third location outside of the International Broadcast Centre will place hosts at the nearby Bokwang Snow Park. CBC also notes the studios will utilize state-of-the-art augmented reality graphics to showcase athletes. Along with teasing the studio, CBC has also released its theme music, which builds off the network’s main Olympic melody. Marc Cholette of Majoma Music composed the theme with arrangement by Grayson Mathews. In a unique opportunity, CBC is asking school music classes across Canada to create their own rendition, which could be played during the games. 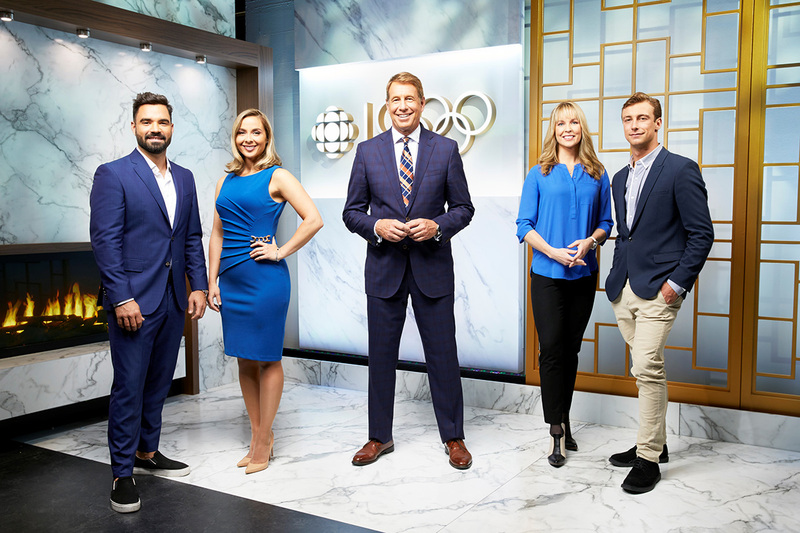 CBC’s coverage will be helmed by Scott Russell with Andi Petrillo, Alexandre Despatie, Craig McMorris and Kelly VanderBeek hosting various editions of the coverage. The 2018 Winter Olympics begin February 9, 2018.